These reports give an annual description and summary of the relevant monitoring data and can be found in the Annual Reports section of this website. Population data: annual population estimates, proportion of juveniles & average brood size. Harvest bags: annual total harvest bags for Denmark and Norway. Temperature data: number of days in May in which mean temperature was >0°C (TempDays), and the cumulative sum of temperatures for days in which mean temperature >0°C (TempSum). If you have and comments, queries or require more information about this data please contact the International Working Group Coordination Unit. 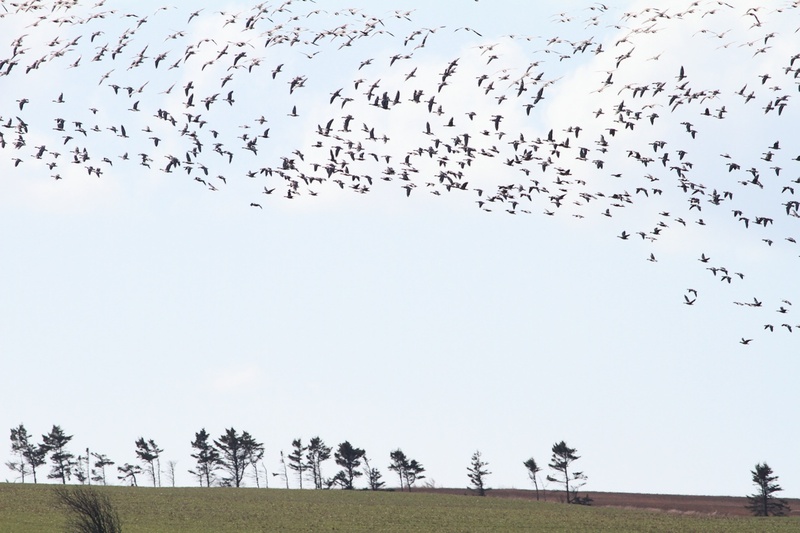 The level of wounded birds among the pink-footed goose population is also monitored. X-ray images of captured geese are analysed to estimate the number birds carrying shotgun pellets after hunting. This research is part of ongoing ISMP monitoring actions, carried out in collaboration between Aarhus University, the Danish Nature Agency and Norway's Environment Directorate. Details of this monitoring programme, actions to reduce wounding and the latest results can found here.